Poetry. Paper, perfect bound, 42 pp. 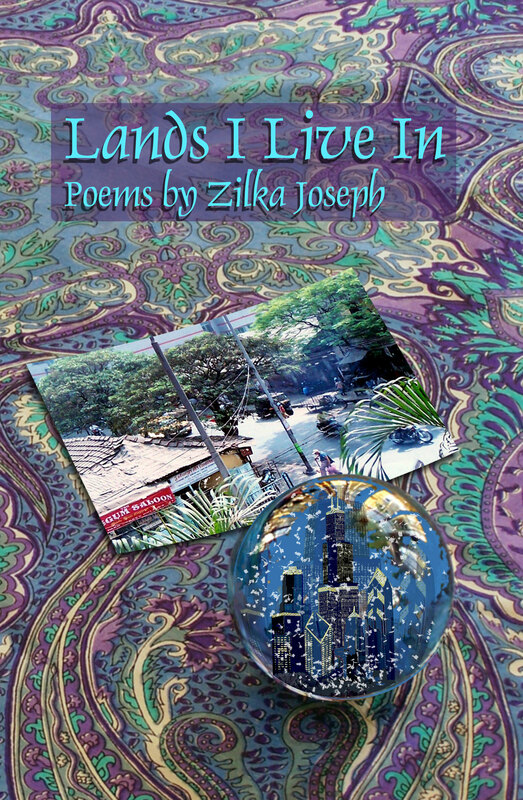 In richly detailed, exuberant poems, Zilka Joseph embraces the vivid passions of her childhood home in Calcutta and the complex hopes and fears implicit in her move to the Midwest. These poems capture in evocative and specific ways the living-in-two cultures of America s new immigrants. 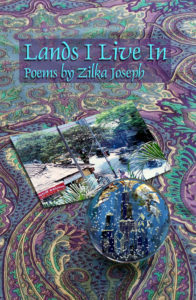 Joseph highlights the experience of arriving in the United States, a first snowfall, and communicating with a family that warns to “stay away from the snow.” Enlightened and sometimes humorous, Lands I Live In allows the reader make the journey, too. or American Airlines on torn tags. the heartbeat of their thoughts. faces wet, they are breathless. I release them from agony. reflect in their eyes like rainbows. even the Snausages and flea-collars for Duchess. before their joy breaks like the monsoon over me. funny photographs to remember me by. Zilka Joseph was born in Bombay, India, She grew up and was educated in Calcutta. She moved to Chicago with her husband in 1997 and currently lives in Auburn Hills, Michigan.